Tongil Tours is committed to creating DPRK travel experiences that go deeper than the average North Korea tour. And we pledge to offer these experiences at very competitive rates. We encourage travelers to go deeper, stepping inside North Korea for a few days through academic and popular readings before commencement of your trip. While readings are of course not mandatory, we believe that light pre-trip academic exploration and preparation greatly enhances any first-hand experience of North Korea. 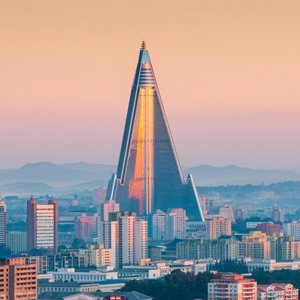 We’re able to bring on board our academic partners, which include some of the world’s most well known North Korea experts, to deliver lectures and Q and A sessions for our groups. 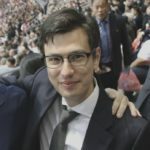 We can also assist universities and schools with more rigorous, customised reading and lecture programs based on academic materials and the help of experts from the field of Korean Studies. Scroll down to see in sequence our full Tour Catalogue, Tour Calendar (where our scheduled tours up to a year in advance are listed chronologically) and Private Tour information. Or click on the button below to skip to the Tour Calendar. 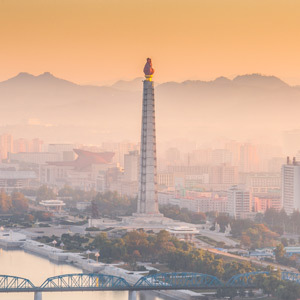 Tongil Tours was founded on the premise that travel to North Korea would be greatly enhanced by partners and staff who focused on Korean Studies at the postgraduate and undergraduate levels at reputable institutions. Working with our DPRK partners, we leverage that knowledge to create experiences that go beyond tourism to academic-grade study and exchange. It is in that spirit that we offer this category of academic excursions that will complement an academic program in Korean Studies, supplement studies in a peripheral field, or simply satisfy a layperson’s desire to gain deep understanding of the DPRK and northeast Asia. Building on the success of the 2016, 2017, and 2018 Pyongyang Summer Language Programs, the 2019 language school will feature the same academic focus and fun. Instruction will be received from top-notch Korean language teachers with decades of experience in teaching Korean as a foreign language. Upon successful completion, students receive an official certificate. You’ll practice your conversational skills based on what you’ve learned in class with your guides and with the locals as you visit local and regional tourist destinations. Our open group tours, scheduled up to one year in advance, are listed here in chronological sequence. Choose a Private Tour and leverage the expertise of the Tongil Tours team to make your tour to North Korea a success. We can also arrange academic, governmental, humanitarian, or business delegations. We will work with you to tailor your trip to your exact objectives, while making sure you leverage your time and budget to come away with fresh understanding, memories, and friendships that will last a lifetime.